Time to start our Happy Healthy Hair Event. To kick off the event we are going to start with this really cute Mini Flat Iron from Cool Care! Talk about convenience! It comes in a small, white, zippered bag, with Cool Care on the side in pink. It is mainly pink with a little white, flower design, with a pink cord. You can carry it in your purse and use it for a touch up during the day if needed. My daughter loves it's compact size. The total length is 5 1/2 inches, with a 2 ft. 6 inch cord. The Mini Flat Iron heats up in 1 minute. It heats to a temperature of 200* Celsius (392* Farenheit). It meets UL standards. And it cools reasonably quickly (Approx. 5 minutes). So you will not have a long wait to return it to the bag. Need a quick fix during the day? Grab your Mini Flat Iron from Cool Care. Hair frizzing from Humidity? 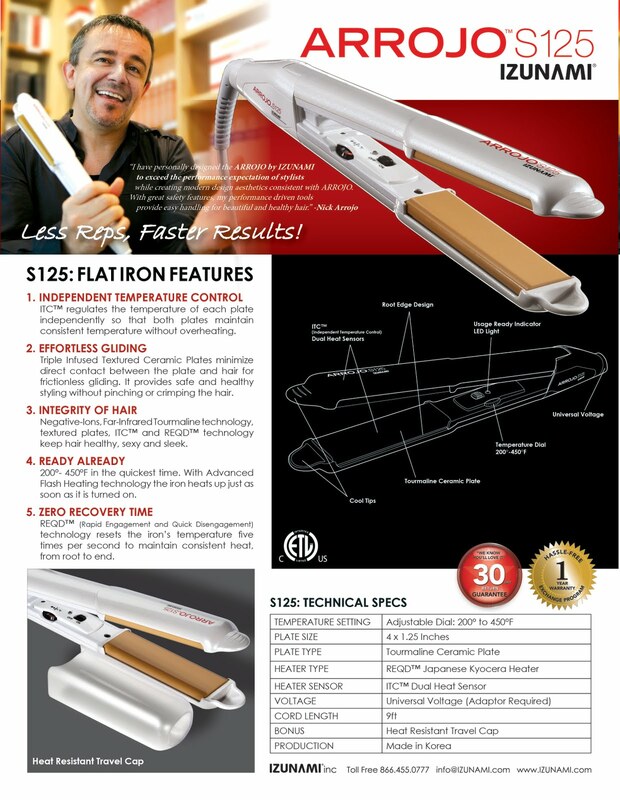 Try your Mini Flat Iron. This is small enough to carry in a purse or briefcase throughout the day without being bulky, heavy, or taking up a lot of room. Taking a trip? Toss your Mini Flat Iron in your suitcase. Make sure to view the video below of this little gem being used. My older daughter has a regular size flat iron, but for traveling as we do this Mini Flat Iron from Cool Care is a major benefit. See how nice, shiny and smooth it looks now. This Mini Flat Iron is available from Cool Care for $19.95 plus $5.95 shipping. You can check out their website here. Then try following them on Twitter and Facebook to see what others are saying about Cool Care. And just a little secret, later in February I will be reviewing the Cool Care Holders. The winners (2) of this giveaway will receive their own Mini Flat Iron with carry bag, from Cool Care. Mandatory Entry: Visit the American Beauty Cool Care website and tell me what you like best about this pint-sized product! You do not have to be a blogger to enter, but you must leave a valid email where you can be reached should you win. This giveaway will end 2/10 at 11:59 pm CST. The winner will have 48 hours to respond. Open to US and Canada. 7. Follow Cool Care on Twitter or Facebook and leave a comment letting me know that you did. If you do both, leave 2 comments. 1-2 comments possible. Disclaimer: I received no monetary compensation for this post. I did receive a Mini Flat Iron with bag from American Beauty Cool Care Products for review purposes. All quotes are from the American Beauty Cool Care website or email. All thoughts and opinions are mine. Pillow Pets Games, Review and Giveaway! Pillow Pets are considered very special in our family! they even go on trips with us! Everyone wants their own. So when Pillow Pets came out with two games, I knew my family would enjoy them. The first is the Pillow Pets Dreamland Matching Game ($9.95). This game is designed for ages 3 and up. The game comes with 60 cards total. 30 Pillow Cards and 30 Pet Cards. You place the cards face down on the table and take turns trying to match the Pillow to the Pet. You start with the youngest player who turns over 2 cards trying to find a match. If they match the player keeps the cards and goes again. If they do not match turn them back to the face down position and the next player takes their turn. The object of course is to be the player with the most matches. For younger children you can lay out less cards so the game is a little easier. Just make sure you only lay down matches. Nice easy game to play and helps with memory. The second game is called Pillow Pets Dreamland Adventure Game ($19.95). This game is for 2-4 players and is designed for ages 3 and up. Dreamland Adventure Game comes with 1 game board, 1 Spinner, 4 Pawn Stands, 13 Pillow Pets Character Pawns, 28 Pillow Pets Animal Cards. The first player to collect at least 4 Pillow Pet Animal Cards and enter the Pillow Pets Dreamland wins the game. To begin, set up your game board on a flat surface and place the spinner next to the game board. Have each player choose a Pillow Pet character and place it in a stand and put them in the boat across from the Red Star, which is next to the Start Here on the Game Board. Place the Pillow Pets Game Animal Cards facedown on the square on the game board that says "Place the Pillow Pets Animal Cards Here". The youngest player will start the game by spinning the spinner. If it lands on a color, they move their game piece to the first corresponding color on the board. If it points to a Pillow Pet, the pawn is moved forward to the closest Pillow Pets Animal on the board and the player draws the top Pillow Pets Animal card from the stack. This card will remain in their possession until the end of the game, unless the player lands on a Pillow Pets Cage. Should the spinner point to a Cage, the player must move backwards to the nearest Pillow Pet Cage on the board and return one Pillow Pet to the bottom of the pile. If this happens at the beginning of the game, they just do not move and loose their turn. If the spinner lands on Pillow Pet Land, you move forward to the next Pillow Pet Land space and the player may shuffle through the Pillow Pet Animal Cards and choose a Pillow Pet Card. The player may then spin again. The player must make it to the Pillow Pets Dreamland and they must have 4 Pillow Pets Animal Cards. To enter Dreamland they have to spin a Pillow Pet Land. Both of these games are adorable. They are attractive and very colorful. They are easy to play and should be enjoyed by most children. What a great pair of games to play with younger children on Family Fun Night! Even slightly older children will enjoy playing this with their brothers and sisters. One winner will receive both of these games. Disclaimer: I received no monetary compensation for this post. I did receive both new games from Pillow Pets for review purposes. All quotes are from the Pillow Pets website or email. All thoughts and opinions are mine. Didn't take long for me to miss on this. We were traveling all day yesterday, with no internet and then the campground we were at did not have any either. Thanks for your patience ladies! I will get this together! An Ideal US Family Great Getaway! Here is another post brought to you through Social Moms and Alamo. Now I have to tell you that the best family getaway we have experienced is camping. You get away from home and the cares and get to spend quality time together. As a family we have experienced all varieties of camping from tent camping to renting cabins, and of course an RV. I am going to list some of our favorite locations to visit. St Augustine Beach in Florida. We stayed at the state campground in an RV. You do have to book early during the prime season. There is a beach area, where you can sit and relax while the children play, either in the sand or in the water. You can also rent bikes, but we brought our own. While out there one day we even managed to watch some whales go by with borrowed binoculars. Next time we will take our own! Not far away is an old fort that my husband and some of the younger children visited. They had a great time. And then, you can stroll through the shops. Anything from seashells, blown glass, clothing, homemade bread (it was great! ), t-shirts, and of course souvenirs. We also found a really great pizza shop while there. Another great place to visit was the Arches National Park in Moab, Utah. We had to stay at a hotel for this one. Arches is a drive through park. You would not believe the gorgeous views. The children loved looking through the arches. Delicate Arch, Double Arch, Balanced Rock, were a few of the sites we were able to see. And we heard several jokes about the Gossiping Women. Then we were able to visit the Grand Canyon. A first for all of us. We managed to get there a little before lunch and wander a few of the sites. Looking over the first time was simply breath-taking. We did manage to see some wildlife also, when a snake visited along one of the sidewalks, several squirrels were more than a little friendly and then to our surprise several Elk were right by the side of the road and we were able to take pictures. I could go on and on about parks we have visited. This would make a great family getaway to pack up and plan a trip to anyone of these sites, or perhaps you could plan to hit more than one. Our family enjoys the camping because you spend a lot more time together talking, playing and just having fun. You put away tv, video games even the distraction of friends and just enjoy your family. Lenox Tied with Love Bethany Basket Giveaway! It has been awhile since I was able to stop by At the Fence, because we are headed south for a few weeks, but I wanted to get this post done. Remember back in October when I did my Gift Basket Bonanza? Lenox sent me the nicest Tied with Love Bethany Basket for review. Well, somehow I received two, so when I contacted Lenox they told me to use it in the future for a giveaway and here it is. The Tied with Love Bethany Basket is beautiful. It is a crafted of a fine Lenox porcelain and is accented with 24 karat gold. It has a reversible pink and brown bow around it. It stands 5 in. high and is 7 3/8 in in diameter. 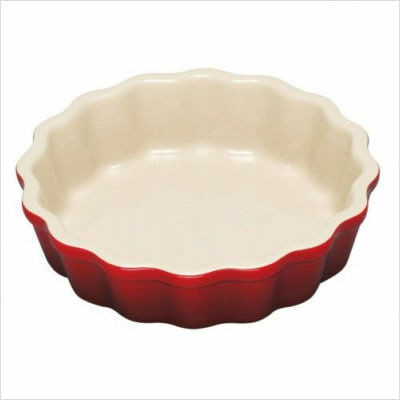 The basket has a quilted look with a scalloped rim, all very delicate looking! 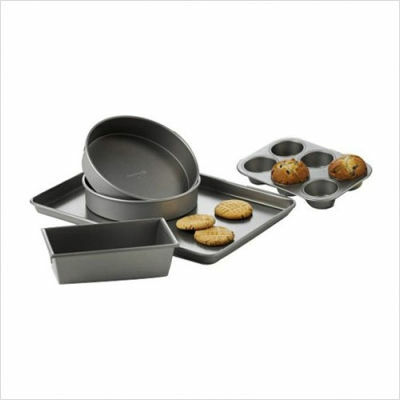 Suggested retail is $43, but Lenox price is $29.95 right now. What a nice gift this would make for that special someone, just to show you care. And Lenox actually carries matching items: a cache pot, a sentiment box, pitcher, bud vase, even a teacup! See the beautiful quilted look. Here is the delicate scalloped edge. And you can always place a couple of small gifts in it! Now, I used the old pictures from my Gift Basket Bonanza. I gave mine to my daughter. She loved it! So, one reader is going to receive this gorgeous Tied with Love Bethany Basket by Lenox. Disclaimer: I received no monetary compensation for this post. I received a Lenox Tied With Love Bethany Basket for giveaway purposes. All quotes are from the Lenox website or email. All thoughts and opinions are mine. Maybe you remember that awhile back I had a review and giveaway with a Wild Eyes Cobra, well this time I am giving away one of their Rattlesnakes. These snakes move and rattle and his eyes blink on and off. Really wild looking. My children think they are great! I will include a couple of pictures and maybe a quick video clip. Some people find them creepy as they wiggle their heads from side to side and make a rattling noise, but most children find them fun to play with. And hey, it's better than a real snake. We have had all sorts of critters in our home as pets, but not a snake. The Wild Eyes rattlesnake is 40 inches long. You can pose him and then watch what happens when people walk by or touch him. He is $34.99 at ToysRus. Now one of you will receive this Wild Eyes Rattlesnake. Disclosure: I received no monetary compensation for this post, nor did I receive any product for review purposes. Also a quick announcement, coming up in February is Happy Healthy Hair. Reviews and giveaways with hair care products, tools and accessories. 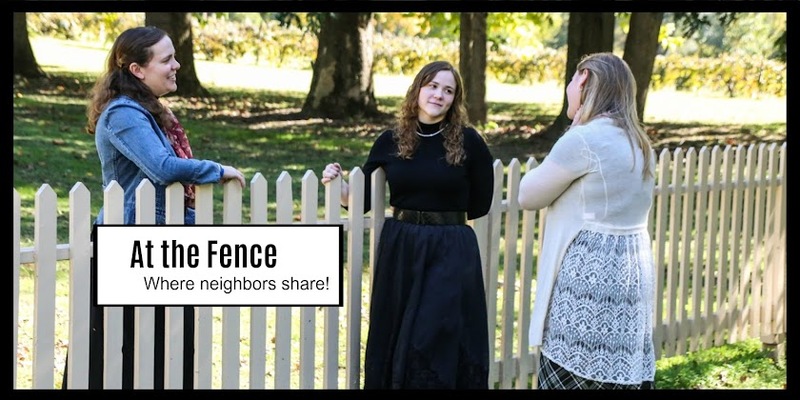 Make sure you stop by At the Fence to see what is going on in my neighborhood. I was offered this opportunity from my good friends over at SocialMoms. They have teamed up with Simply Orange Juice and we are to write a post about some changes we want to make for the New Year. I have listed some of mine below and I look forward to reading yours in the comments. 1.Make more time for my family. I am sure you moms all know what I am talking about. Seems sometimes we get so busy we don't take time for the family. But I am going to be changing that this year. Maybe cut down on some of the other things I do to make sure I get that time. We already do a Friday evening game night, but I want to also get one on one time with each of the children. I know, I know. We are all supposed to have fun but I really want to take some time to relax and have some fun. Maybe get some special bath stuff from Bath and Body Works or some new books to read, but I would love to have some "me" time. Maybe some time for crafts and sewing that I would like to do that always seems to be put on the shelf for later. This is really hard for me to do and I just never seem to get it done on schedule. We like to play racquetball so that does give me a lot of exercise but I would really like to get more done at home with hard, sweaty stuff:). Maybe some dvd's or an exercise program. Walking would be great too! This actually ties in with my last point. My day often gets away with me and I don't complete everything I would like to. Now with 6 children that is somewhat understandable, but I still need a little more structure. Not a rigid schedule, because we need some flexibility, but definitely more of a schedule. This is a big one for our family. We travel a lot and this makes eating healthy harder. We are going to drink more water, and have healthier snacks with us when we travel. You know when we grab a snack for the road we will pick more fruit and veggies, instead of grabbing the chips and such. All too often we grab what is easiest instead of what is best for us. So this is a major goal for me this year. I wrote this blog post while participating in the SocialMoms and Simply Orange® blogging program. If I am one of the first 65 blogs received by SocialsMoms, I will receive a $25 Target gift card and a gift pack that includes a Simply Orange® cooler bag and logoed fleece. 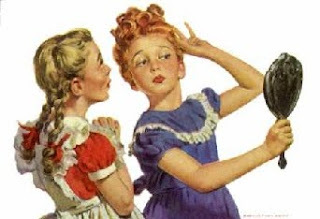 I have to tell you about a shampoo and conditioner I was able to try recently. It is from Organix! I received their Rejuvenating Cherry Blossom Ginseng Shampoo and Conditioner. It smells wonderful! Organix products contain organic active ingredients and are paraben free and sulfate free. It is nice to be able to use an organic shampoo and conditioner. This shampoo and conditioner are safe for all hair types including color-treated hair. I recently had a perm and I love the way it makes my hair feel. This sensual and alluring blend of cherry blossom extracts and Asian ginseng root helps rejuvenate the scalp and hair follicle to add volume at the root while nourishing your hair with replenishing rice milk and bamboo extract for hydration and shine." Organix has several other fragrances. My daughter would love to try the Mocha Expresso! They have products for fortifying, instant repair, enriching, healing etc. You are sure to find the right shampoo and conditioner for your hair on the Organix website. You will find an entire list of retailers that carry Organix, or you can order online through Amazon, CVS, Walgreens and several others. So, If you are looking for an organic shampoo, check out Organix. Disclosure:I received no monetary compensation for this post. I did receive Organix Cherry Blossom Shampoo and Conditioner for review purposes. All quotes are from the Organix email or website. All thoughts and opinions are mine. Here is a list of winners At the Fence! Also I have decided that I wait too long to post winners, so I am going to make Wed. Winners Wednesday and announce winners. Hopefully this will keep everyone updated. Do you suffer from heartburn? I do sometimes. I personally can not eat really spicy foods. Problem? I LOVE MEXICAN! So does my whole family. My husband enjoys really spicy foods and sometimes suffers from it. Solution? Have you heard about Prilosec OTC? If not perhaps you would like to try it. Prilosec OTC has a special offer going on right now through February 15th. Buy 2 Prilosec OTC and get $25 back. When you eat, millions of tiny pumps in your stomach lining create acid to break down food. Normally your lower esophageal sphincter (LES) works as a door, opening and closing to let food pass from your esophagusHEARTBURN GLOSSARY Esophagus: Tube connecting the mouth to the stomach; a passageway for food; part of the digestive system. into your stomach. When your LES relaxes, excess acids flow up, or reflux, into your esophagus. This creates the painful sensation of heartburn. Prilosec OTC works by directly blocking many of the active stomach pumps that produce acid before they start. Prilosec OTC is a proton pump inhibitor (PPI). The way Prilosec OTC works to fight heartburn sets it in a whole separate class from other treatments such as histamine blockers or antacids." Does this sound like something you or someone in your family needs? Visit their website to learn more. The winner of this giveaway will win a Prilosec OTC gift pack including a $100 AMEX Gift Card. Disclosure: I received no monetary compensation for this post, nor did I receive any product for review purposes. All quotes are taken from the Prilosec OTC website or email. All thoughts and opinions are mine. A little chilly here today, but still wanted to visit awhile. CSN Stores is a great place to shop on a chilly day like today, where you can stay inside and do all the shopping you like. Now, would be the time to maybe re-do your bedroom and what better place to look for modern bedding then CSN Stores. My daughter would love the Pink and Green Mod Circles Kids Bedding Set seen below. She loves PINK! Personally I liked the Chelsea Frank Valencia Ivory Queen Comforter Set here below. Of course you can purchase whatever you wish with your $20 GC. CSN Stores are much more than just bedding. With over 200 stores to choose from it could take you a while to decide. My personal favorite is the baking pans they carry! I have always had a great time shopping at CSN. The only problem is making a choice from all the options. Shipping is quick and I have never had a problem shopping here. CSN makes shopping easy! The winner of this giveaway will win a $20 GC to CSN Stores. Mandatory Entry: Visit CSN Stores and then leave a comment here about something you would like to get from CSN. You do not have to be a blogger to enter, but you must leave a valid email where you can be reached should you win. This giveaway will end 1/26 at 11:59 pm CST. The winner will be chosen using random.org and will be notified by email. The winner will have 48 hours to respond. Disclosure:I did not receive any monetary compensation for this review. I did not receive anything for review purposes. All quotes are taken from the CSN Stores website or email. All thoughts and opinions are mine. Lefty's The Left Handed Store Review and Giveaway! Here is a unique company I found. It is Lefty's San Francisco, The Left-hand Store. I have two left-handed children along with myself, so I was intrigued by a left-handed store. Lefty's sent me a Young Artist Series, Ready Set Draw...Under the Sea! (which opens from the top for easier access for left handed children) along with 2 pair of left-hand scissors (one blunt tip, one pointed), a couple of pencils (one with a lefty pencil grip), a pencil sharpener (that sharpens opposite for a left-handed child), and a couple of key chains. My son thought the set was too easy for him, so my daughter was nominated to try this out. The drawing starts out very basic, where first you trace the animal or object and then you draw it step by step. The Ready Set Draw comes with 4 double ended colored pencils. My daughter is enjoying this set from Lefty's. She already did the Clown Fish, starfish and the Dolphin. She also loves having scissors designed just for her. You know, no one else can use them. She loves to draw so this book is great for her. I love that they have so many items available for left-handed people, even adults! They have loads of left-hand kitchen tools. From can-openers to knives, to scissors, to measuring cups plus more are all available through Lefty's. And how often have you ever seen left-handed gardening tools. You need to see the watches! If you have a left-handed member of your family, you need to check out Lefty's! The winner of this giveaway will receive an interesting pair of products for lefties just learning to write and to tie their shoes. I am not sure exactly what this is, it is just what I was told by Lefty's. Disclosure:I did not receive any monetary compensation for this review. I did receive a Ready, Set Draw Kit for review purposes. All quotes are taken from the Lefty's website or email. All thoughts and opinions are mine. ARROJO by IZUNAMI S125 Styling Iron Review and Giveaway! Do I have a really great product to share with you! I received the ARROJO by IZUNAMI S125 Styling Iron. Wait until you see how this works! I used my daughter, because I just recently had my hair permed and because I take the pictures and video. Now, let me give you a little information about the ARROJO S125 Styling Iron (Sugg. Retail $250). "ARROJO and IZUNAMI have teamed up. IZUNAMI has teamed up with Nick Arrojo in development of a high-end, professional appliance collection. It's a collaboration between a most recognized educator and stylist, Nick Arrojo and IZUNAMI, a manufacturer with the reputation of utilizing the most advanced technology and craftsmanship. With stringent requirements on performance and quality, this is the best styling tool available today." "Nick Arrojo was born in Manchester England and his career began at Vidal Sassoon. He spent 20 years in the industry, after which he opened ARROJO Studio in Manhattan in 2001. Nick Arrojo has been a regular guest for hair related news stories on ABC, and NBC. Today ARROJO Studio is an multi-award winning 13,000 square ft. salon. Used professionally at ARROJO Studio, Academy, and School, this signature ARROJO IZUNAMI tool -for it's stringent quality control, safety features, and unsurpassed gliding ability, which enables easy styling and handling-is Nick's personal tool of choice." ARROJO S125has independent temperature control of each plate so that both plates maintain a consistent temperature without overheating. Now here is the part my daughter loved, it has effortless gliding. The Triple Infused Textured Ceramic Plates minimize direct contact between the plate and the hair for frictionless gliding. It provides safe and healthy styling without pinching or crimping the hair. My daughter owns a different brand of styling iron and it constantly pulls at her hair. With Advanced Flash Heating technology the ARROJO S125 heats up as soon as it is turned on. And due to the REQD (Rapid Engagement and Quick Disengagement) technology resets the iron's temperature five times per second to maintain consistent heat, from root to end. The ARROJO S125 is really great. It heats up quickly and is easy to use. As stated above it does not pull the hair. We are able to set the temperature between 200 and 450 degrees. While doing my older daughters I set it on 350, and then doing my younger daughters hair in the video clip we only had it on 250. It really worked well on both my daughters. It does come with a plastic cap for traveling and a 9 ft. long swivel cord makes it easy to use anywhere. It comes with a 30 day guarantee. If for any reason a customer is not completely satisfied with the performance of the product a customer may return the product to the point of purchase for a full store credit or an exchange within the first 30 days of the purchase. (A copy of the original receipt and packaging are required). I must tell you, I don't see this happening! 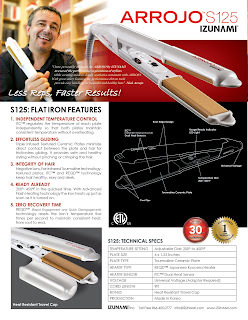 One At the Fence reader is going to receive their own ARROJO by IZUNAMI S125 Styling Iron. Disclosure:I did not receive any monetary compensation for this review. 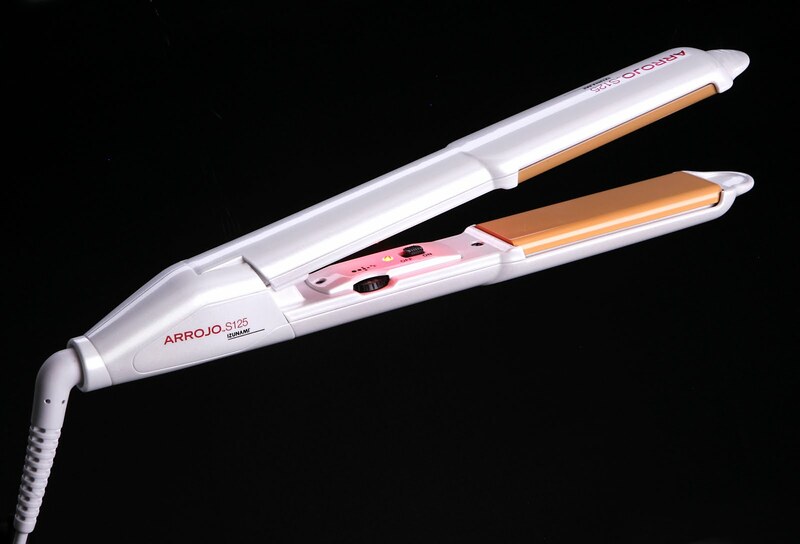 I did receive an ARROJO by IZUNAMI S125 Styling Iron for review purposes. All quotes are taken from the ARROJO IZUNAMI website or email. All thoughts and opinions are mine. Now let me explain the S'Quarrels Action Cards. If you draw a Quarrels Card, every one lays one card from their hand down at the same time. The person with the card with the highest number gets to keep all of them. When the Hoard Card is drawn the player who drew it, lays it on the table and the first person to slap their hand on the Hoard Pile receives the pile. The person who drew the Hoard card may not participate. With the Ambush Card the person who draws it is allowed to take one card from every player. Whirlwinds are really fun. The person who draws this card takes everyone's cards and shuffles them together and then passes them back out! And last but not least there is the Winter Card. When this card is drawn the game ends and everyone adds up their points. There are also 2 Specialty Cards. 1 Golden Acorn and 1 Rotten Acorn. If you are holding the Golden Acorn at the end of the game you get 5 extra points. If you have the Rotten Acorn, you lose 5 points. This is just a basic description of the game. There are some exceptions but you can read about those if you purchase a game. You can purchase S'Quarrels online for $12.99 at there website, or you can check their store locator to find out if a retailer near you carries this game. 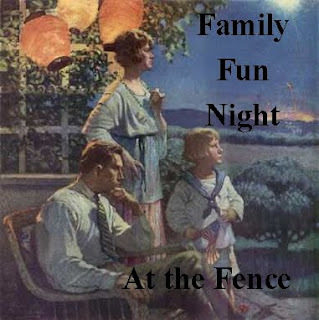 Let me tell you that this would be a great Family Fun Night game. We all enjoyed it and my youngest kept asking to play another round. Like I said in the beginning though the more playing the more fun it becomes. Just look at the pictures and video. The winner of this giveaway will receive their own copy of S'Quarrels! 3. Fan S'Quarrels on Facebook and leave a comment here letting me know that you did. 2 entries so leave 2 comments. Disclosure:I did not receive any monetary compensation for this review. I did receive S'Quarrels for review purposes. All quotes are taken from the S'Quarrels website or email. All thoughts and opinions are mine. Hope you are having a great beginning to you new year. 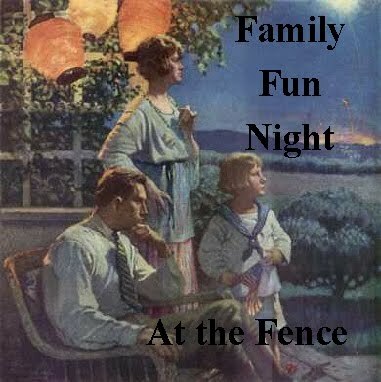 I have another Family Fun Night review for you. Educational Insights sent me a few games to review. We received Blurt, Name That Country, Color Schemes and Stix and Stones. Each of these games are great for a Family Fun Night. Name That Country ($24.99) became one of my daughters favorites. In this game you work your way around the game board by identifying countries. There is a map of the world on the game board and each coutry instead of being labeled by name, each one has an individual number. When you spin the spinner it lands on a country, with the name of the continent it is located on and how many spaces you will move if you answer correctly. You then have to choose the correct number. Then the person who has been chosen to check answers checks the answer key. If they are right the person moves ahead the allowed amount of spaces. Another part of the game is there are postcards that are shuffled and placed face down on the board. If you land on a spot marked postcard, you pick up the top postcard and hand it to the designated person to read. They greeting and name of the penpal are clues to the country. Identify the country. If you respond with the correct answer, you get to move ahead 2 more spaces. The goal is to reach the Post Office. If the game becomes to easy, you can add the requirement of naming the capital also. My children actually beg to play this game for school. It is fun for them and they are learning! This was a really great idea for a game. This would definitely be a plus for any homeschooling family, but anyone can benefit from playing this game. Including adults! The next game, Blurt ($29.99) is already a family favorite. This game gets hysterical! Blurt can be played by up to 6 players. Everyone places their game piece on start. Pick one person to start. The chosen person rolls the dice and then draws a card. Make sure you decide first if you are going to use the easy side (with 2 gold stars) or hard side of the cards. Or if you have varying ages you could alternate. Whatever number the dice lands on decides which definition you will read off. Here comes the fun part. Everyone else starts blurting out what they believe is the answer. Now, the problem is not in knowing the correct answer, it is getting the answer out first! Here is an example:The space in a house just under the roof. Answer:Attic. You may keep guessing until someone gets it right. The person who answered correctly moves the same amount of spaces as the number on the dice. Here is an example from the harder definitions:A portable burner in which a flame is made hotter by a blast of air or oxygen. Answer:Blowtorch. Watching this game is fun too! You know the answer, but actually saying it is more difficult than you think. Especially in the excitement of the game. Do not play this if you have a headache! We have really enjoyed Blurt. Here is a short video above of the family playing Blurt. with this game. There is also a red arrow which can be used to point at a certain part of the drawing. This is really a lot of fun! Above is a short video of Stix and Stones. Color Scheme ($23.99) is the last game. I have to be honest and say it is the least favorite. This is not a negative statement about this game, just that out of the four, the other three rank higher in our home. I think part of that is because it is only for two players. You have a game tower, and 30 tiles. Each tile has 2 colors. 10-red/yellow 10-yellow/blue 1-red/blue Each player chooses a target color, either orange, green, or purple. Your goal is to drop your tiles in to create your target color get three in a row, and stop your opponent from getting their target color. Your opponent is trying to reach their target colors and to mess you up. Lay all the tiles on the table within reach of both players. Player one starts by dropping a tile into the tower. Player 2 drops the next tile. Play continues between the two until one of them gets three in a row or until tiles run out. If they run out of tiles first it is a draw. You may not leave holes in the the tiles in the tower, nor may you place a tile behind one that is the same color. The game is easy to play and fun for 2 players. This is just a sampling of the games available at Educational Insights. Each game we received was both fun and educational. Blurt teaches definitions, Name That Country teaches countries and their locations, Stix and Stones uses your mind in designing the picture word from stix and stones, and Color Scheme teaches Primary and secondary colors. I am impressed with the games Educational Insights has to offer. If you are looking for a game to increase knowledge, for use homeschooling, or for Family Fun Night, you need to check out Educational Insights! You will be glad you did! You can purchase any one of these games on the Educational Insights Website. You can also find Educational Insights on Facebook HERE. Now here is the really great news. Educational Insights is giving away one of each of the games I reviewed. So, we will draw 4 winners and each will win one game. First winner will receive Blurt, second one will receive Color Scheme, third will receive Name That Country, and fourth will receive Stix and Stones. If a winner does not respond a new winner will be chosen for that game. Disclosure:I did not receive any monetary compensation for this review. I did receive Blurt, Color Scheme, Name That Country and Stix and Stones for review purposes. All quotes are taken from the Educational Insights website or email. All thoughts and opinions are mine.